Park City and Deer Valley have grown over time to be one of America�s most desirable communities. With growth have come economic strength, a social deepening of the community, and ever-more robust recreational offerings. Winter no longer means just downhill skiing. There�s outdoor recreation of all kinds, and indoor activities when you�d prefer to be in, but since the ski resorts in Park City generate more than 1.5 million skier/rider days per year, we�ll start with alpine skiing. Utah really does have the Greatest Snow on Earth, and we have three resorts full of the stuff � 30 to 40 feet worth every year. There�s skiing for every like, taste, style, and passion in Park City, and for many properties in Deer Valley, it is literally right outside your door. There are over than 30 miles of groomed Nordic trails and track in Park City and more in nearby Midway at Soldier Hollow which hosted the Olympic cross-country skiing events in 2002. There are community trails maintained by Park City�s Mountain Trails Foundation, and there is a more formally maintained track with lessons and rentals at White Pine Touring�s Nordic Center which is right in the center of Park City. Park City has miles and miles of trails around town, many of them legacies of the mining era when the miners had to walk up the mountains to get to work. You might not be headed for the dark cold mines, but you can make great use of the trails all winter long by donning a pair of snowshoes and heading out for a hike. 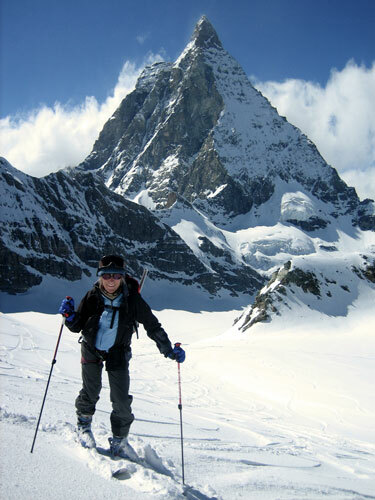 Snowshoeing is easy enough that anyone can do it, and it�s great exercise in the winter whether your are running on groomed trails or sauntering in the silence of fresh falling snow. 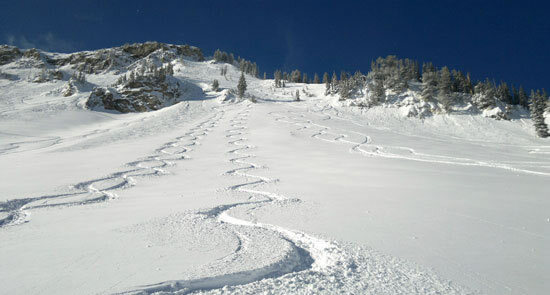 If you�d like to venture a little farther afield, White Pine Touring also offers guided snowshoe tours in the mountains around town or out into the Uinta Mountains less than an hour drive from Park City. If you�d like to get out into more remote country, but you want to get there faster than your two legs can carry you, you might want to try a snowmobile tour. More extreme snowmobiling can take you to untracked powder in the backcountry, but there are also opportunities for more family friendly outings nearer to town on well traveled terrain. Gliding on skates is fun for the whole family, and in Park City you have a couple of options. There�s a small rink in the plaza right by the skier drop-off at the base of Park City Mountain Resort. It�s perfect for apr�s ski or for when the kids have spent enough time on the snow. The other alternative is the new Park City Ice Arena located near Quinn�s Junction about five minutes from town just off of Rte 248. With a regulation size hockey rink and figure skating venue, the Arena can be the perfect place for young and old to keep up on their skating skills. And, for those always looking for something new, the Arena even hosts some curling events that you might want to try! You might think that a place like Park City would be great for sledding, but the odds are you might not have considered that fresh powder actually makes for lousy sledding, and we get lots of fresh fallen snow, quite often several days a week. Instead of sledding, you might want to try something a little more adventuresome like the Alpine Coaster or the zip line at Park City Mountain Resort, or the zip line at the Utah Olympic Park, or tubing at Gorgoza Park. All are great family fun, and as an added bonus, you don�t have to hike back up the hill carrying your sled! Even though a day of hard skiing should be enough exercise, we know there are some people who like to maintain their gym routines (okay, we admit we�re among them.) Park City has large venues that welcome visitors and some smaller specialty trainers, too. Check out Silver Mountain Sports� venues near downtown Park City and at Kimball Junction near Canyons resort or the Snyderville Basin Recreation Center at Kimball Junction or the Park City Racquet Club for a variety of options and facilites.